Marvel Comics Solicitations Spoilers & News: Secret Empire Grows To 12 Issues With An Extra Final Issue With Secret Empire #0 to #10 Covered By Mark Brooks! 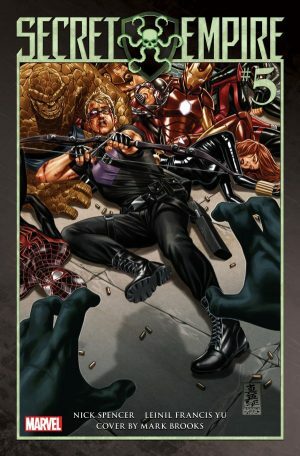 Marvel Comics Solicitations Spoilers and News follows. 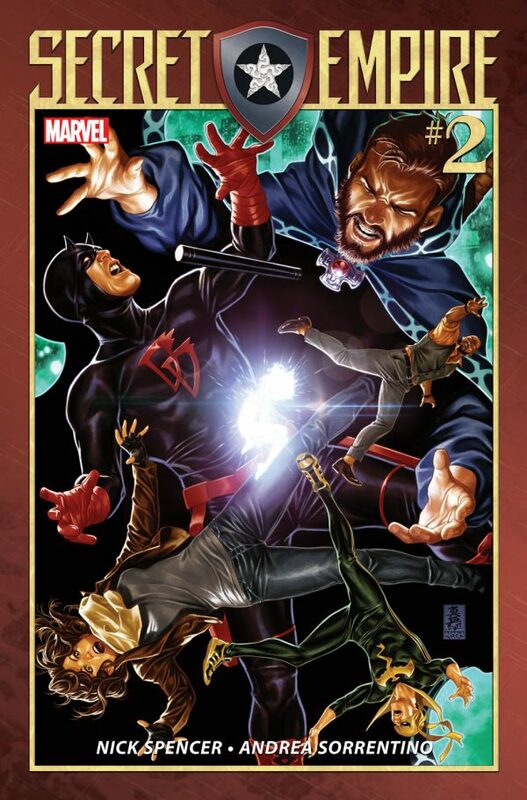 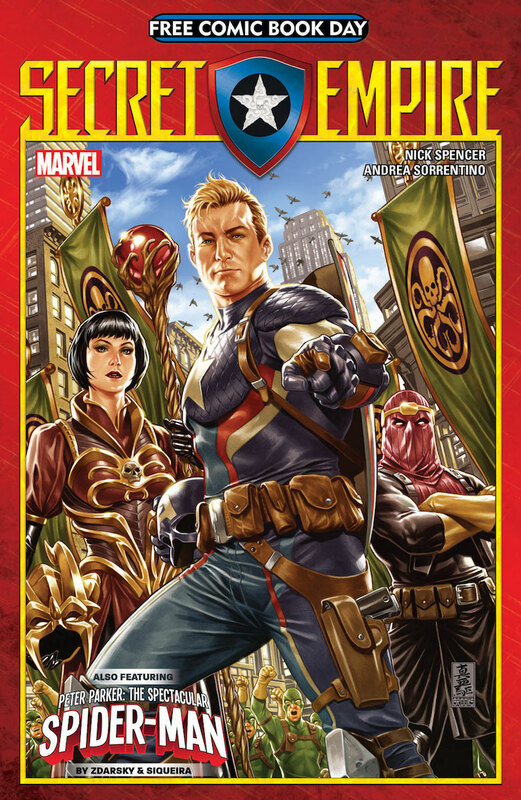 We are 4 issues into the 11-part Secret Empire event with Secret Empire #2 on the to road to Generations and Marvel Legacy. 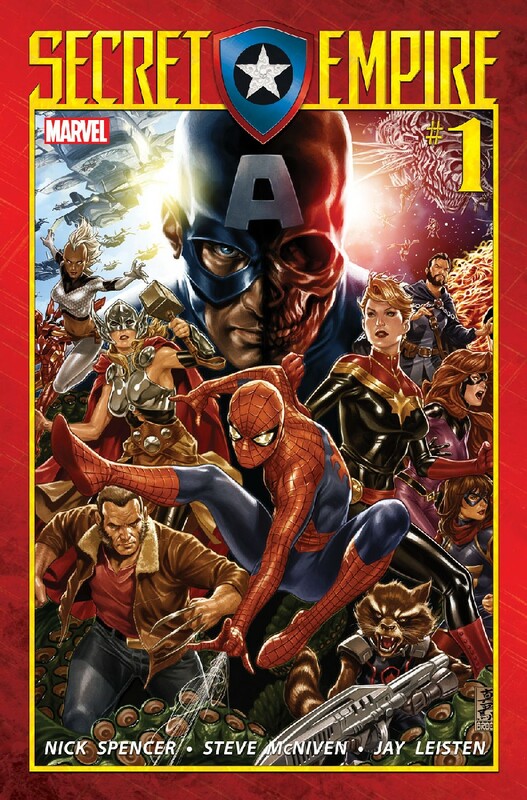 And, as expected, Marvel Comics has expanded Secret Empire by adding a tenth issue making it a 12-part event! 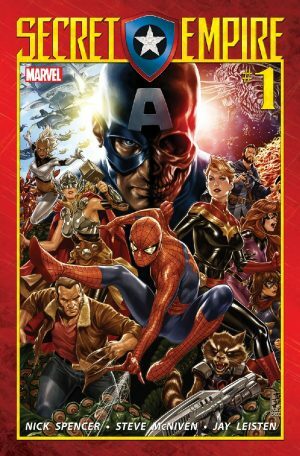 Secret Empire FCBD 2017 (spoilers here). 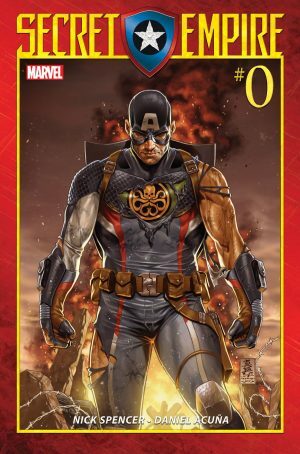 Secret Empire #2 (spoilers here). Secret Empire #0 to #7 and #10 (of 10 [of 12]) covers (spoilers here). Here is Secret Empire #10’s cover by Mark Brooks! 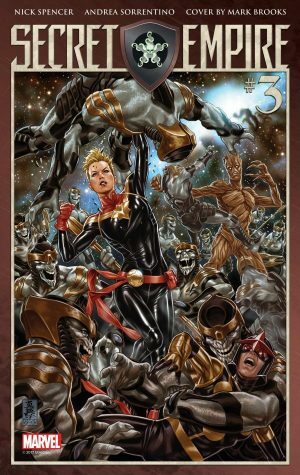 More on this new conclusion for this mini-series from Marvel here; they also share a solicitation for the issue for August. 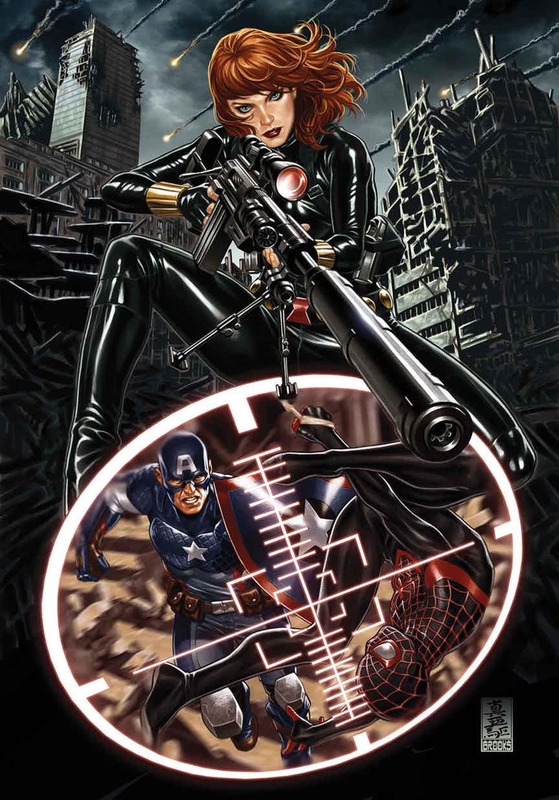 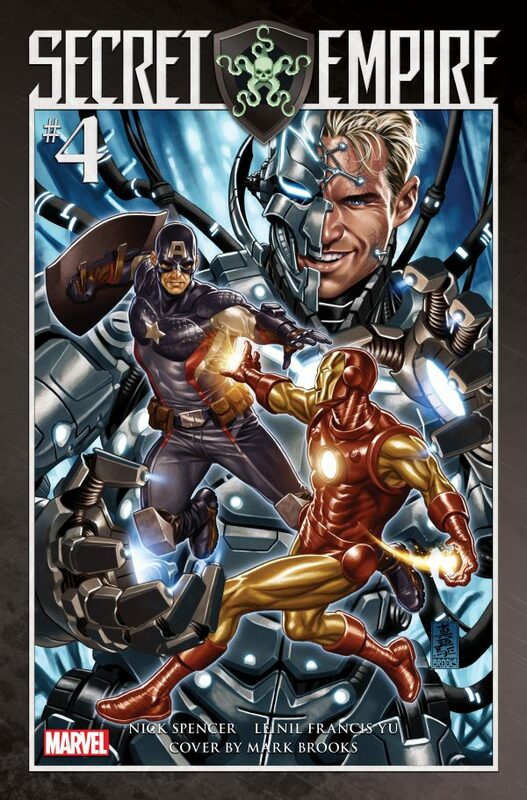 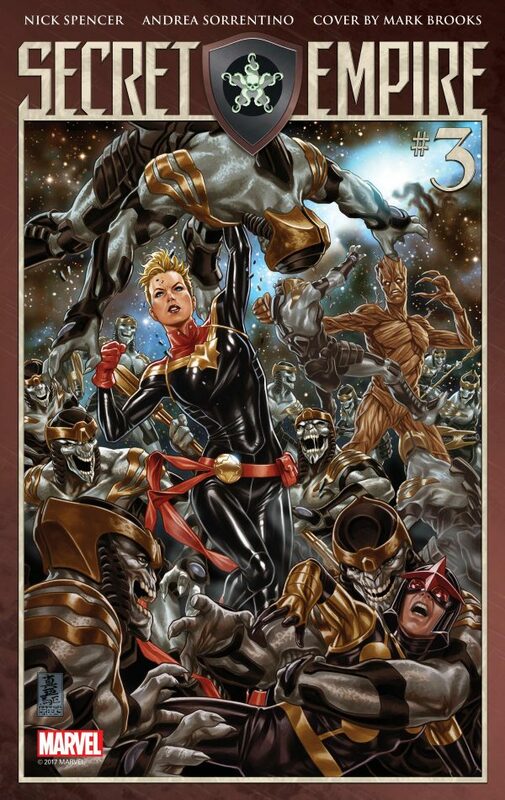 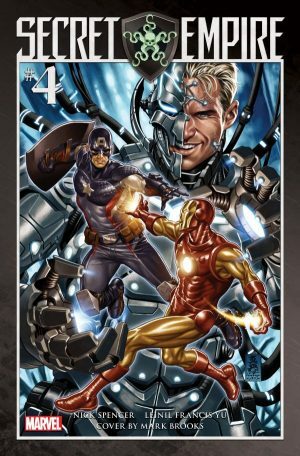 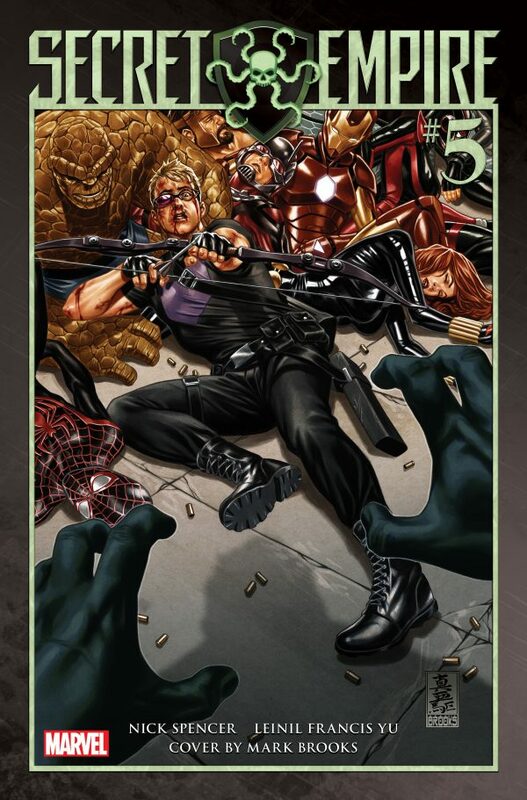 Mark Brooks’ covers for all Secret Empire have been gorgeous. 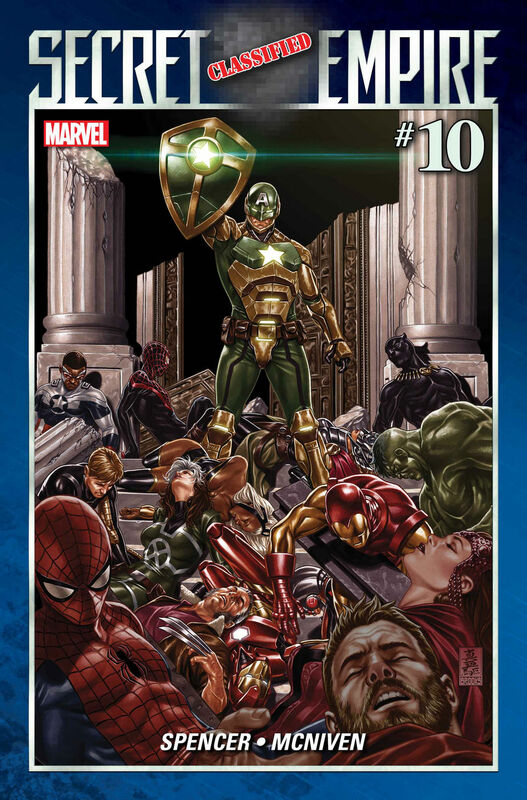 While his Secret Empire #8 and #9 covers have yet to be released, check out the remaining covers of his for this Marvel event. 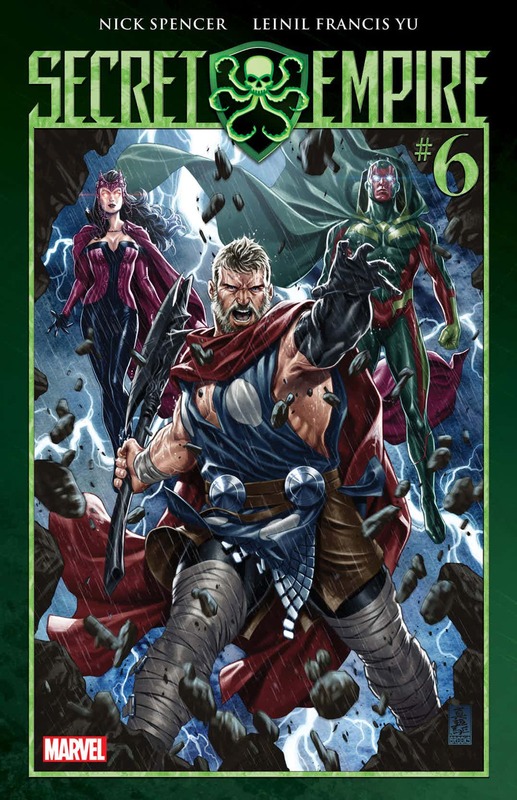 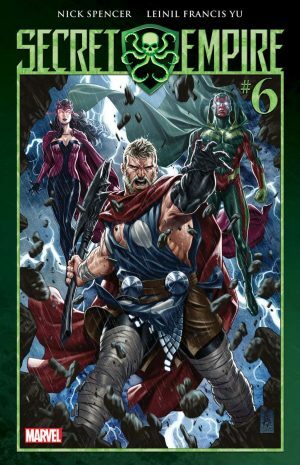 And now Secret Empire #6 on down. Secret Empire FCBD 2017 (Free Comic Book Day 2017).